More than a hundred people gathered in Jerusalem to remember Sir Flinders Petrie, one of the fathers of modern archaeology, in the lovely, little-known cemetery on Mt. Zion where most of him was buried 70 years ago this week. A towering figure in the study of Egyptology and biblical history, the brilliant, driven and eccentric Briton is no longer a household name. But a memorial for Petrie organized by the Israel Antiquities Authority on Monday at the Protestant Cemetery, just outside the walled Old City, nonetheless drew a capacity crowd of local archaeologists, Bible scholars and aficionados of the ancient past. Before Petrie’s groundbreaking work in Egypt and Palestine in the late 1800s and early twentieth century, many archaeologists looked chiefly for spectacular finds and simply discarded the rest. 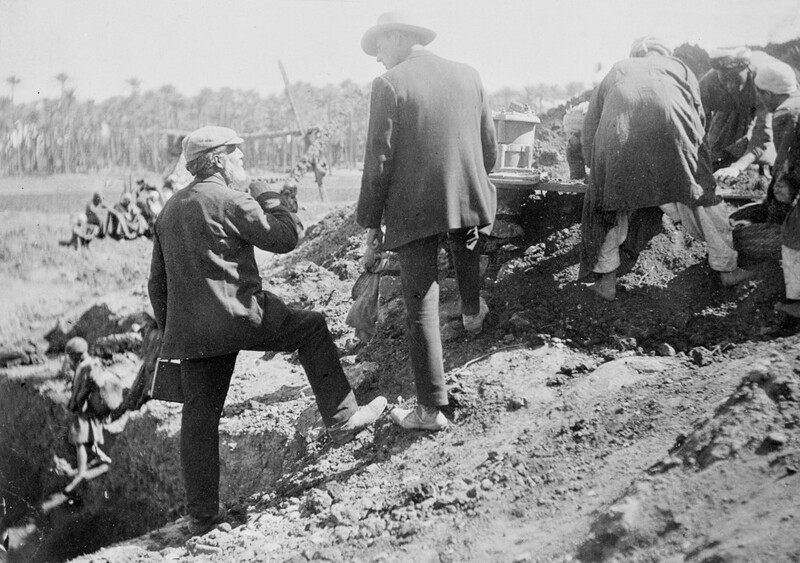 Petrie “established that every single find is important” and could be used to decode history, archaeologist Gabriel Barkay told those gathered at the cemetery. 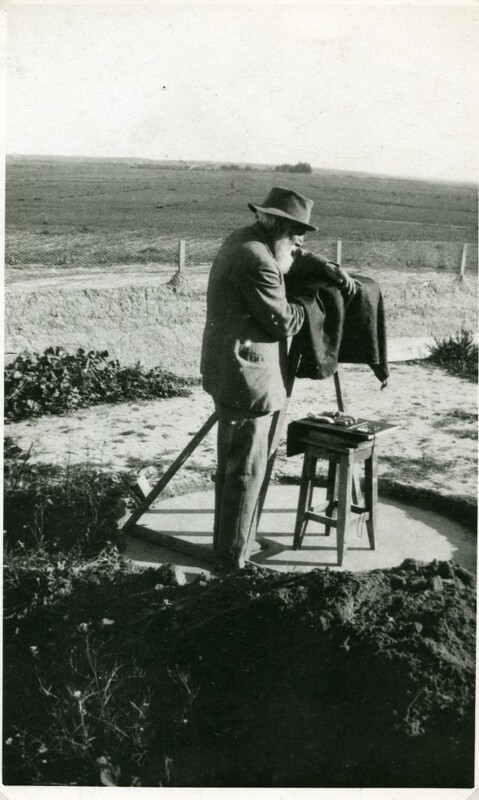 Petrie was gripped, like others of his time, by the history of ancient Egypt, and after first using his knowledge of surveying to carry out an accurate measurement of Stonehenge he set off by ship to measure the Great Pyramids. He arrived in Cairo in 1880, made his home in an empty tomb, and ended up spending much of the rest of his life exploring the lost civilization of the Pharaohs. Neglect on the part of local authorities and the booming market in ancient Egyptian artifacts in the West, he found, were leading to the wholesale plundering and destruction of priceless antiquities. Beginning with a dig at Tanis in the Nile Delta, the ancient northern capital of Egypt, he pioneered archaeological methods still in use today, like the use of ceramic shards to date archaeological layers. He trained students and local crews, and skilled workers on modern-day digs in Egypt are often direct descendants of the people he taught. While digging, he was known for extreme frugality. “His clothes confirmed his universal reputation for being not merely careless but deliberately slovenly and dirty,” one visitor noted in the early 1890s. “He was thoroughly unkempt, clad in ragged, dirty shirt and trousers, worn out sandals and no socks…. He served a table so excruciatingly bad that only persons of iron constitution could survive it.” In the stifling heat of the tombs at Giza, it was said, he became somewhat notorious for working completely naked. Outside Luxor in 1896, he unearthed the famous Merneptah stele, his best-known find, which included a hieroglyphic inscription from the 13th century BCE that is thought to include the first reference to Israel in the historical record. His writings, as quoted by his biographer, Margaret S. Drower, evoke something of the romance of archaeology in Egypt at that time. 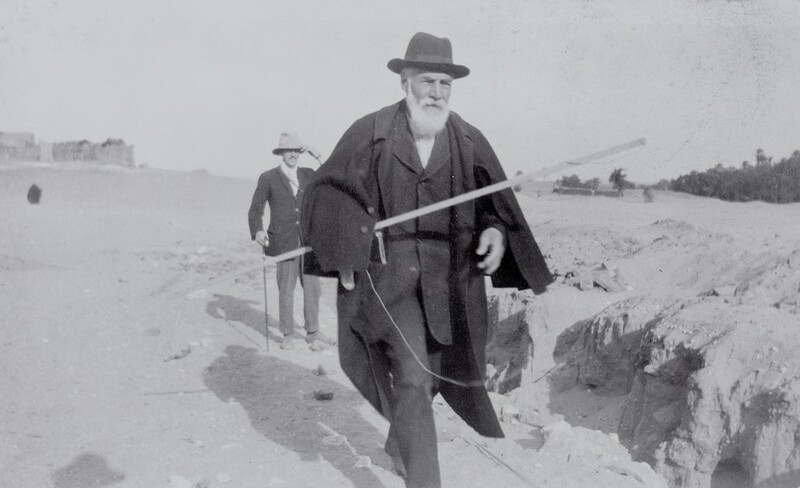 Petrie was chiefly an Egyptologist, but also made several forays for digs at biblical sites in Turkish Palestine. In 1890, he excavated Tel el-Hesy, which had been identified, quite wrongly, as the ancient city of Lakhish. In what may have been chiefly a fundraising pitch, he publicly suggested his work aimed to prove that the Bible was true. Today, some of his ideas would raise eyebrows. In 1917, for example, when the British captured Palestine from the Turks, he suggested that the entire population of Jerusalem’s Old City be transferred some distance away to enable an excavation. Petrie was also an acquaintance of Francis Galton, the genetic and racial theorist who coined the term “eugenics,” sending him skulls and skeletons for his research. Petrie once wrote that the government should control the birthrate, that the “best stocks” of humans should be given incentives to breed and that the reproduction of the lower classes should be restricted. Increasingly immobile, he remained a voracious consumer of information. A local British policeman visited him in bed and read him T.E. Lawrence’s book “The Seven Pillars of Wisdom.” Another acquaintance, Col. Mortimer Wheeler, an army officer stationed in the Egyptian desert during WWII, heard the great man was dying and crossed Sinai to see him, conversing with him on matters ranging from Gaza to Mesopotamia, according to Petrie’s biographer. Petrie had willed his head — “as a specimen of a typical British skull,” according to his biographer — to the Royal College of Surgeons in London, and when he died on July 29, 1942, the doctors in Jerusalem duly cut it off and prepared it for shipping. But the world war, then at its height, made that impossible, and Petrie’s cranium, with its stern brow, long beard and swept-back hair, remained in a jar in Jerusalem for some time before finally making its way back to Britain. At the college, which had just been bombed by the Nazis, no one seems to have paid the head much attention. The jar’s label eventually fell off and its contents were forgotten. In 1989, archaeologist Shimon Gibson went to the college armed with photos that he hoped would help him identify Petrie’s head, Gibson told the crowd at this week’s memorial. An assistant took a bearded head out of a jar, Gibson said. A telltale scar on the right temple confirmed that it was the archaeologist. The assistant opened Petrie’s eyes, Gibson recalled. They were blue. “Though I was born only 16 years after his death, I like to say that I met Flinders Petrie,” Gibson said. Find Matti Friedman on Facebook and Twitter.